The American Health Council has cordially appointed Mr. David Ross, MSc, CCC – SLP to its prestigious Industry Board in recognition of his impressive accomplishments in the healthcare industry over the past nine years. Specializing in swallowing and voice disorders, Mr. Ross currently owns and runs two successful healthcare practices, Florida Voice & Swallowing Diagnostics and Global Dysphagia Diagnostics, and is also well-renowned as co-creator of Curadis, the first global charity dedicated to helping people with swallowing disorders throughout the world. Mr. Ross first became interested in his field from his own experience of being afflicted with a laryngeal trauma (and subsequent swallowing disorder) while living in Fairbanks, Alaska. His personal issue with dysphagia prompted him to become involved in the profession in order to help others with swallowing and/or voice disorders, a field that he is greatly passionate about. Though a resident of Hawai’i, Mr. Ross’ academic career started at Boston University, where he graduated with his Bachelor of Science degree in Hospitality Administration and Management in 2002. Following this, in 2013, Mr. Ross completed his clinical education, earning his Master of Science degree in Speech-Language Pathology from Idaho State University. Mr. Ross continues to pursue further academic qualifications and is currently completing his Doctorate in Speech-Language Pathology at Nova Southeastern University, where he is due to graduate in 2020. Furthermore, Mr. Ross is currently applying for Board Certification in Swallowing Disorders via the American Board of Swallowing Disorders. In his current capacity, Mr. Ross has spent the past 3 years as Owner/President of Florida Voice and Swallowing Diagnostics. This practice provides mobile endoscopy and laryngoscopy for the diagnostics and treatment of voice and swallowing disorders (as well as healthcare consulting, training and counseling). Additionally, this practice offers internships, externships and clinical fellowship placements for burgeoning speech-language pathologists. Mr. Ross displays extensive expertise in swallowing disorders, voice disorders, multilingual issues in speech-language pathology, tropical diseases, neurocognitive rehabilitation, medical counseling, medical ethics and law, clinical supervision and issues in transgender voice. In addition to attending to his patients, Mr. Ross manages his employees and contractors, while also working in a variety of healthcare, clinical and education settings. 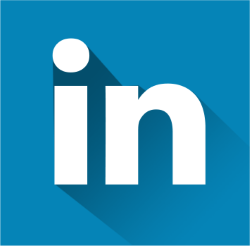 Alongside this position, Mr. Ross is also the Owner/President of Global Dysphagia Diagnostics, a company providing mobile endoscopy and laryngoscopy for patients (as well as providing and hands-on training for swallowing diagnostics and treatment to healthcare professionals) around the world. Since its inception, Global Dysphagia Diagnostics seeks to provide specialized swallowing services in countries throughout South America, Europe, Asia and Africa. With Global Dysphagia Diagnostics, Mr. Ross is conducting original research on the connection between oral-pharyngeal dysphagia and a variety of tropical diseases, such as Chagas Disease and Zika Virus. Additionally, Mr. Ross holds the achievement of becoming the Co-Founder of the first swallowing charity, Curadis (alongside Co-Founder Katja Verstraelen). Curadis is the first global non-profit organization with the aim to exchange experience and knowledge about the diagnosis and treatment of swallowing disorders around the world. Through Curadis, Mr. Ross and his team are able to provide volunteer outreach, training, education, diagnostics and treatment to communities and people in need throughout the world on a fully pro-bono basis. Since its inception, Curadis has expanded its headquarters into two countries and has a volunteer base from 25 countries on 5 continents who speak a combined 17 languages. Curadis also creates and publishes a variety of clinical research in swallowing, as well as creating and enacting a variety of outreach projects relating to swallowing disorders. Though Curadis, Mr. Ross and his volunteer team created the International Dysphagia Lecture Series, which brings swallowing researchers and swallowing clinicians from around the world in various cities around the globe to present current research, discuss current topics and help local healthcare communities increase their curricular, pedagogical and clinical knowledge of swallowing disorders. Curadis projects range from helping to create swallowing clinics, planning pediatric and adult swallowing centers, consultation with local healthcare teams about swallowing, collection and publication of local swallowing data in order to advocate for funding of swallowing disorders, working with local healthcare teams in rural/unserved areas to create swallowing diagnostic and treatment paradigms, providing teaching and training in a variety of swallowing diagnostics and treatment, offering pro-bono services to anyone in need, aiding in the creation of patient/provider societies, lobbying for awareness of swallowing disorders, creation of multilingual assessments and treatment guides for various communities and creation of international symposia to aid in the spread of swallowing knowledge in local communities. Curadis is continually expanding and enacts about three major global projects a year with multiple smaller, local projects across the globe. Throughout his many professional accolades Mr. Ross and his presentations are held in particularly high esteem. He is regularly invited to be a guest lecturer at a variety of healthcare facilities, symposia and universities around the United States, and he also works with an ASHA CEU company as a trainer of Endoscopy and Videostroboscopy. Mr. Ross is well-regarded globally, as he also has the privilege of sharing his knowledge and experience via presenting on the topic of voice and swallowing disorders at various international medical conventions around the world. He remains proud of his academic merits, including graduating at the top of his Medical SLP class and more recently, completing his Doctoral Dissertation and applying for Board Certification in Swallowing Disorders. 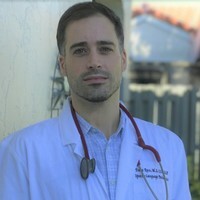 Throughout his illustrious career, Mr. Ross has upheld his licensed to practice in multiple states in the United States, which has also lead him to practice in many countries outside of the United States including Brazil, Belgium, The Maldives, United Arab Emirates, Morocco, Portugal and Argentina. His ability to speak French, Spanish, Portuguese, Swedish and Thai, alongside English, has helped him raise awareness with wider audiences and also led him to become the Co-Creator of “International Dysphagia Lecture’ series, the ‘African International Symposium of Swallowing Disorders’ and the ‘Moroccan Dysphagia Society’. Between 2019 and 2020, Mr. Ross will continue to work on volunteer projects relating to swallowing disorders in Morocco, Sri Lanka and Thailand, as well as creating original multi-lingual and translated resources and materials for swallowing and voice disorders for the global healthcare community. In an effort to continually broaden his knowledge, Mr. Ross is a member of several prestigious associations including The American Speech-Language Hearing Association, The Florida Association of Speech-Language Pathologists, The Louisiana Association of Speech-Language Pathologists, The Hawaii Association of Speech-Language Pathologists and The Dysphagia Research Society. Mr. Ross is also a founding member of the Moroccan Dysphagia Society. Attributing his success to his patients, his students, his coworkers and his supportive family, Mr. Ross believes his achievements stem from his ability to think ‘outside the box’ of modern healthcare, combined with his outstanding work ethic and flexibility in helping patients. Mr. Ross’ approach to healthcare has always been patient-centric and he particularly enjoys working with students. Looking to the future, Mr. Ross is excited to complete his Doctoral program and become Board Certified via the American Board of Swallowing Disorders. He also aspires to develop protocols in training and teaching in his field, while also expanding Curadis initiatives and projects in order to advocate for better patient outcomes in swallowing and voice disorders throughout the world. Mr. Ross is currently working on multiple publications in swallowing disorders, some of which he is the Primary Investigator of, and some of which are funded projects. Mr. Ross has a major interest in teaching speech-language pathology at the University level, ideally teaching swallowing disorders or voice disorders. Outside of his clinical work, Mr. Ross loves to travel and his hobbies include photography, improvisational comedy, his dogs, the harp, biking and kayaking. He also shows a keen interest in geology, botany, linguistics, supervision, ethics and counseling. 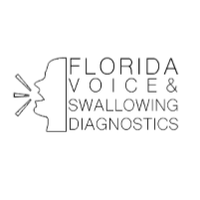 Florida Voice and Swallowing Diagnostics provides Diagnostic Treatment for Voice and Swallowing Disorders. Curadis is the first global non-profit organization with the aim to exchange experience and knowledge about the diagnosis and treatment of swallowing disorders around the world. Curadis provides volunteer outreach, training, education, diagnostics and treatment to communities and people in need throughout the world on a fully pro-bono basis.